Not too sweet, not too spicy, creamy, steaming and delicious, chai lattes are objectively the very best drink you can order at a cafe. While we at the Clog are passionate about many things, we take tasting and reviewing chai lattes to another level. It’s a whole ordeal — we’ve got to check that the flavor is there but does not burn our tongues; we’ve got to check that the presentation is aesthetic but that the drink doesn’t rip through our bank accounts. Are you unsure of where to try this drink next? Don’t worry, the Clog’s got you covered with our power rankings. We’ve ranked six chai lattes based on their spiciness, sweetness and price out of 10, with 10/10 being very spicy, extra sweet and really cheap, respectively. You can thank us later. As far as we know, no one has ever gotten anything at Julie’s besides that extraordinary chai. Best served iced, this beverage is a little sweeter than most, but not in an artificial, teeth-aching sort of way. More akin to a chai milkshake, this drink is very creamy and can become a little overwhelming after a while. That said, this chai serves as a great midday pick-me-up or after-school treat for those days when you just can’t. Cafe Blue Door serves well-balanced chai in the cutest blue mugs. While the lattes are on the sweeter side, there’s a perfect blend of spice, so the sweetness is not as overwhelming as it’d be otherwise. The latte is topped off with a layer of foam, which is a perfect precursor to the heaven you’re about to sip. The cafe’s chai lattes are reasonably priced compared to other cafes around town, so while it’s not something you might want to buy every day, it’s a nice weekly treat. Sack’s Coffee House serves a nearly perfect creamy and spicy cup of chai! Located down College Avenue right in the super quaint and cute Elmwood area, it’s the perfect place to get cozy with your chai. 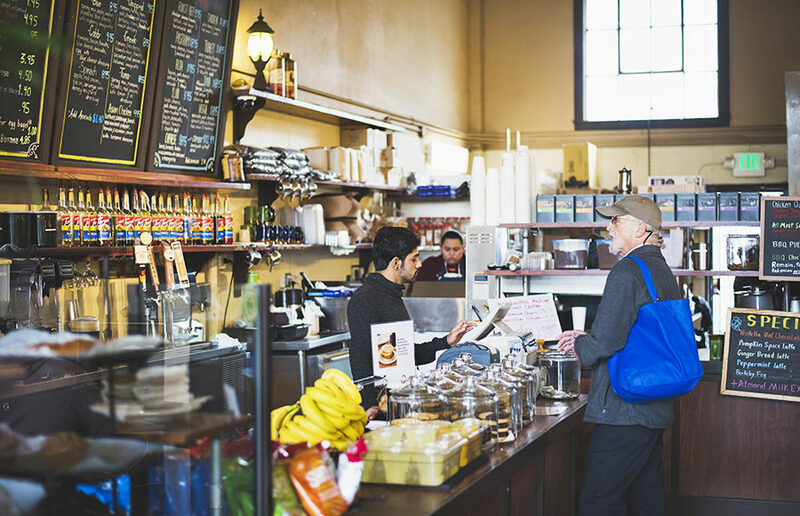 The price is pretty average for coffee shops in Berkeley, but the chai latte is one of the best we’ve had, especially if you’re a fan of sweetness. When talking to one of the workers about how surprisingly good Starbucks chai lattes were, we were guaranteed that their chai would be way better than Starbucks’, and they were proved to be completely correct. Cafe Milano’s iced chai latte is perfect for all the sweet chai lovers out there! It’s refreshing but also cozy like a warm chai latte. There’s flecks of cinnamon in it, giving it a great flavor, and there’s just the right amount of milk. Drinks in Berkeley tend to be on the more expensive side, and the average price is higher here than everywhere else, so it’s definitely not something we’d recommend buying every day if you want to save your bank account. Served in a giant bowl rather than a cup, the Elmwood Cafe chai is an aromatic experience involving a house blend of special spices. Though the latte is creamy, as it should be, you really get the full-on experience of drinking a tea rather than a milky mess. Besides that, Elmwood offers up a number of delicious pastries and other accoutrements to enjoy alongside this decadent but not overly rich drink. Plus, it is super Instagrammable, giving it an extra point in our book! While Caffe Strada’s chai latte isn’t horrible, it just doesn’t stack up against many of the other cafes. It’s expensive (although it does come as a medium), and given that the drink is a latte, it tastes quite watery once you get past the top layer of foam. While it’s nice that the drink isn’t super sweet, the overall flavor of Strada’s chai latte is lackluster. We only recommend it if you’re in the area and need a quick fix of your favorite drink. There you have it! While Julie’s Cafe just barely beat out Cafe Blue Door for the best chai latte around town, there’s quite a few options close to campus to buy your favorite drink. With these recommendations, you’ll love us a-latte!